See below my letter to the Editor-in Chief of The Australian, Mr Paul Whittaker, referring to The Australian’s articles on Dr Wilyman and the Australian media’s grossly biased reporting on vaccination. Re The Australian’s recent articles on vaccination campaigner Dr Judy Wilyman (13 and 14 January 2016 *), and the Murdoch tabloid newspapers’ extraordinary ‘No Jab, No Play’ campaign which has been adopted as vaccination policy by the Australian Federal Government, i.e. the No Jab, No Pay law. Mr Whittaker, can you please clarify if the Murdochs / Murdoch media group have any conflicts of interest in this matter, either financial or ideological? For example, I understand James Murdoch was previously on the board of vaccine manufacturer GlaxoSmithKline (an association which ended around the time of the Leveson inquiry into the News of the World phone-hacking scandal), and that the Murdoch family is associated with the Murdoch Children’s Research Institute, an organisation which undertakes vaccination research. It is important that any potential conflicts of interests are properly declared as the Murdoch media group has published grossly biased reporting on vaccination, polarising discussion on vaccination in Australia into crude ‘pro’ and ‘anti’ vaccination arguments, and impeding open and civil discussion on this matter. Mr Whittaker, please note vaccination policy and practice is a complicated topic and merits serious critical analysis. In Australia, new vaccine products are added to the vaccination schedule without consultation with the community. With the No Jab, No Pay law we are now being set up to be compliant to every lucrative vaccine product in the international vaccine industry’s pipeline. In recent years there has been a dramatic increase in the number of vaccine products and revaccinations ‘recommended’ for children. According to the current vaccination schedule, children aged from birth to teenage years will have at least 43 doses of vaccines via combined vaccines and revaccinations, (33 of these doses will be given in the first 18 months, this will rise to 36 doses when the PBAC approved 18 month diphtheria, tetanus and acellular pertussis ‘booster’ is implemented, therefore making a total of 46 vaccines up to teenage years). This does not include the dubious annual flu vaccinations we are all being pressured to have. I suggest most people in Australia have no idea of the number of vaccines being given to children nowadays, and might blanch at the prospect of rolling up their own sleeves and having all these vaccines themselves. It is my contention that children are being over-vaccinated with this plethora of vaccine products and revaccinations. I suggest we should be considering if an over-use of vaccine products may have damaging long-term consequences similar to the over-use of antibiotics and the rise of superbugs. Unfortunately we do not appear to have any independent infectious diseases experts to consider this matter, as many academics working in this area are conflicted by their associations with vaccine manufacturers. Mr Whittaker, citizens are entitled to demand the right to give their ‘informed consent’ before administration of vaccine products to themselves and their children. Citizens are also entitled to question what level of disease risk justifies mass vaccination, and to question the quality of ‘immunity’ being provided by vaccinations which are being ‘recommended’ repeatedly throughout life, e.g. so-called ‘boosters’ with the apparently defective acellular pertussis (whooping cough) vaccine, which may actually be causing new strains of the disease to develop and spreading the disease via vaccinated individuals. These rights are being denied by the No Jab, No Pay law. It must also be recognised that there is a serious lack of transparency and accountability for vaccination policy and practice in Australia. Academics involved in vaccination policy seldom publicly declare their potential conflicts of interest, e.g. their associations with vaccine manufacturers. I have been campaigning for transparency in this area since 2011, but only recently has brief conflict of interest information for members of the Australian Technical Advisory Group on Immunisation (ATAGI) become publicly accessible, after I wrote to former Prime Minister Tony Abbott on the topic. 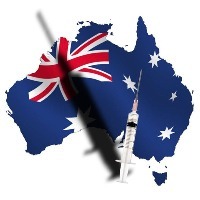 (See my webpage Letter to Australian Prime Minister re vaccination policy in Australia – response. Conflict of interest information for members of other groups influencing vaccination policy and practice is still not being publicly disclosed, e.g. the TGA’s Advisory Committee on the Safety of Vaccines (ACSOV); the Pharmaceutical Benefits Advisory Committee (PBAC); the TGA’s Australian Influenza Vaccine Committee (AIVC); the National Centre for Immunisation Research & Surveillance (NCIRS); and the Australian Academy of Science’s Working Group and Oversight Committee for the Australian Federal Government funded publication The Science of Immunisation: Questions and Answers. Mr Whittaker, vaccination is an important ethical and political issue. We are on a slippery slope when potentially conflicted advisers to the Australian Federal Government on vaccination policy dictate lucrative medical interventions for healthy people, i.e. vaccinations, without adequate transparency of the process and consultation with the community. Secrecy also surrounds the cost of taxpayer funded vaccine products. I have sought information re costs from the Department of Health only to be told it is ‘commercial in confidence’. Why is this information kept from the public whose taxes pay for these vaccine products? The mainstream media’s coverage of the vaccination debate in Australia has been appalling. Across the board the media, including Fairfax and the ABC, has largely been biased in favour of aggressive ‘pro’ vaccine lobby groups, and has failed to provide critical analysis of the burgeoning vaccination schedule – the vaccine industry has plans to add many more lucrative vaccine products to this schedule. The Murdoch media group in particular has been responsible for crude and highly biased reporting on vaccination. The Murdoch tabloids’ ‘No Jab, No Play’ campaign has influenced vaccination policy, resulting in the Australian Federal Government’s No Jab, No Pay law. Again Mr Whittaker, I request clarification as to whether the Murdochs or Murdoch media group have any conflicts of interest to declare. I also request you provide more considered and balanced reporting on the important topic of vaccination policy and practice. For further background see my submission to the Senate Committee re the No Jab, No Pay Bill.